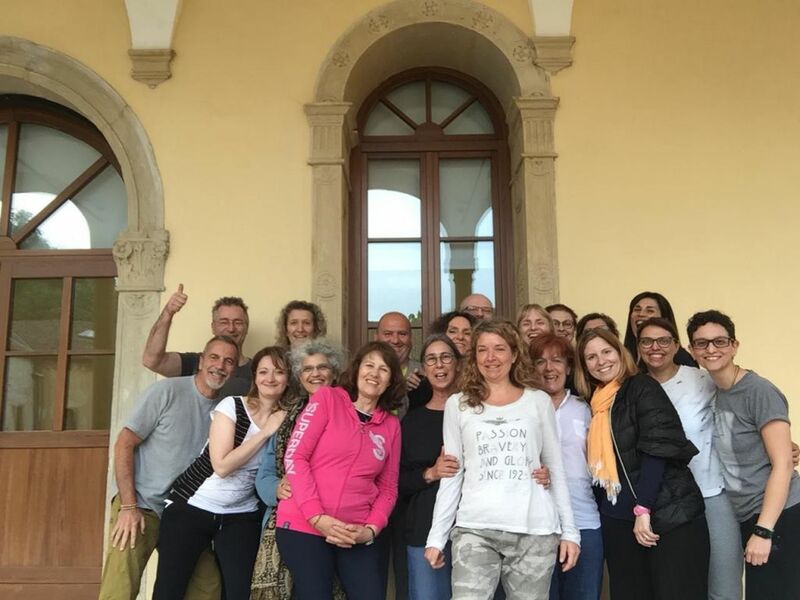 From May 1st till 6, 2018 we have facilitated a training in mindfulness and group dynamics in Italy. 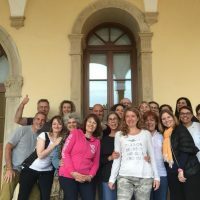 We used to call this Contemplative Group Dynamics, but found that this title leaves many people in riddles.We have tried to teach this form of experiential intuitive insight meditation to people in several different countries (Poland, Belgium, South Africa, Scotland) and we hope to give one next year in the Netherlands. It is very interesting to experience the different flavours of behavior in the different countries. Although we take the theory to a high level of mixed Buddhist psychology and Western psychology/neurology, the participants seem to enjoy hearing about the intricacies of different levels of meditation. But the practice is of course the most important part. We us the four foundations of mindfulness as the starting point in enhancing the capacity to be present through meditative speech. While at the same time keeping an eye on the development of the group experience. The participants try to experience a balance between body, speech and mind while being in relation with themselves and in relation with the group simultaneously. This leads to both a deepening of the solitary meditation practice as well as to a heightened sensation of the group experience. At first one flip flops between these two sensations of being an individual and of being a group member. After some practice the two sensations can start to integrate. Then the experiences of being connected to the core of oneself and of being an organic part of the group become interconnected and a 360 degree view of reality starts to emerge. This gives the participants more strength to take up their own leadership and start walking in their own shoes, while at the same time becoming more attuned to their own inner wants and to the group context. It is always difficult to gauge whether people pick this up in full, but at least a few did as I got from private interviews. But all of them were very enthusiastic about what the retreat had done for them. The next retreat we give, will have another angle of approach but hopefully the ame results. It will be in Caen, France.